Although unremittingly grim, FINDING SOUTBEK is a delicate and intricate novel that juxtapositions a utopian ideal with the harsh reality of the new South Africa. A fire strikes a devastating blow and destroys the poorest areas of Soutbek, a small West Coast village, increasing the hardship and suffering of the needy. The aftereffects also unravel the lives of its first "coloured" Mayor, Pieter Fortuin, his wife Anna and his nephew Willem. Contrasting this bleak reality of a dream gone sour is The History of Soutbek, a utopian vision of life in Soutbek, written by Pieter Fortuin and the dubious Dr Pearson, and based on the unreliable diaries of Pieter van Meerman, a vryburgher (free man) and seventeenth-century Dutch explorer. This novel presents problems that are uniquely South African, but the themes running through the pages are universal issues such as power; the gap between the rich and the poor; and how the past affects both the present and the future, a burden one can never escape. "Had there not been enough of this sort of thing in the past? Forced removals; doctored histories? ...they saw that yet again they were to be denied the dignity of achievement." A self-made man, Fortuin's powerful character dominates the story, even as he tries to dominate the land and the people who look to him for their survival and their future. Through his relationship with his wife Anna, his son David, his nephew Willem, his employees and the people of the town, Fortuin shines with the same hope that fills the pages of The History. His tragedy, and the overarching tragedy of this sad novel, is that the burden of history appears too vast to overcome on either a personal or a collective level. Any attempt Fortuin makes to change the course of history, however determined and well meaning, has devastating consequences. "They felt only a sharp recognition of what it was to have days and months pass without pause, without any pause; recognition of what it was to be led towards hope and then denied." Jennings' sensitive and thought-provoking writing is exquisitely painful; with quiet authority, she reflects the reality of present day South Africa. As I live in South Africa, her melancholy vision is a truth I can't deny. I do, however, contest the sense of utter hopelessness underpinning FINDING SOUTBEK. "Something akin to pride had been returned to them, for they bore now a hope of shelter, and, though the word was not common to them, they felt themselves moving towards civilisation"
Perhaps the burden of the recent past was too heavy for Pieter Fortuin to translate successfully into the ideal Utopia he so bravely tried to create in his The History of Soutbek. But his failure is not as desolate as it is portrayed. Despite its record of our failures, history has also proven that hope lingers in the human spirit. That hope holds out the chance, however fragile, that we can forge a new and better world for ourselves. Someday, somehow, out of the detritus of the past and present suffering that surrounds us, that "same spirit of generosity and enthusiasm which united such a diverse array of people in the common goal of a better life" will rise again. Pieter Fortuin tried and failed to create that better life. Perhaps those who follow him, like Gershwin Geduld, will drown in the swamp of suffering. But some people, like Anna and Sara and Willem, will endure. From within that very endurance of all the miseries that life holds for them, hope will once more be born. For to be human is to hope. And, with hope, the future can offer another chance that, one day, we will find a Utopia, perhaps even one called Soutbek. 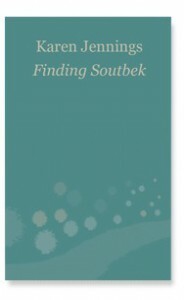 DISCLAIMER: I received a free copy of FINDING SOUTBEK for review from the publisher. 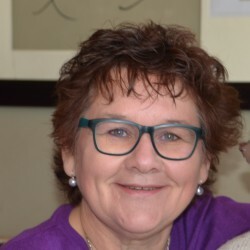 However, I only review books on condition that both publisher and author accept that my review is honest, unbiased and based only on the quality of the text as I experience it.